This trendy long sleeve pullover from the LAT Curvy Collection will be a new staple in your cool weather wardrobe. Blended with a mix of cotton and french terry polyester, this one of a kind top is oh so soft. 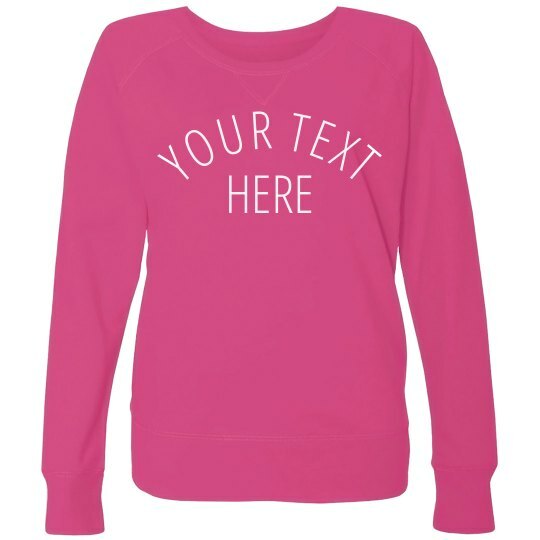 Add this casual & chic piece to your collection of favorite sweatshirts. Make a statement when you hit the gym or fitness studio. Customize a workout sweatshirt in our easy-to-use design center by adding an attention grabbing statement while working out to achieve that beach bod ready status.